It's been quiet for a while again but finally there is some news today. After 4,5 weeks of waiting I finally received the new registration document today. 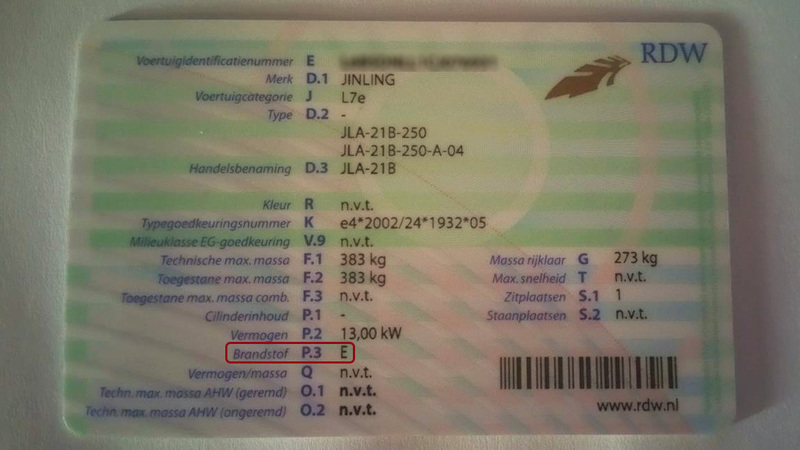 :) Fuel type (Brandstof in Dutch) is now E for Electric. I can now finally go out on the roads with the quad bike legally. I'll make use of this right away tomorrow. :) But the first few times will only be short test runs so I can try to fix the motor temperature issues. Only once that is fixed I can try some longer distances. But that will hopefully happen very soon already.